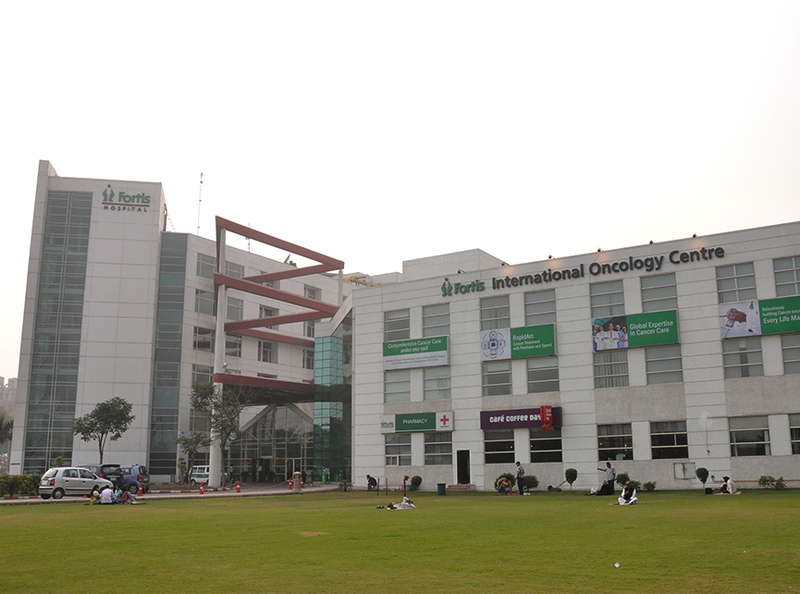 Fortis Hospital, Noida is a premier state-of-the-art facility with over 200 beds including 7 operation theatres. The hospital is positioned as a Centre of Excellence in oncology, orthopaedics, neuroscience, liver transplant, kidney transplant, and with a key focus on cardiac sciences and emergency trauma care services. The hospital is the only corporate facility in Uttar Pradesh that covers an entire array of specialities from diagnostics to organ transplant (kidney & liver). The second mega hub hospital, in the Fortis Healthcare group, it caters to the special needs of patients and their families. The hospital has been designed and developed to deliver patient care with maximum ease, warmth and effectiveness. Since it began operations in 2004, the hospital has become the prime tertiary healthcare Centre in the city. It addresses a wide range of healthcare needs and prides itself in performing many first procedures in India and U.P. The Cardiac Centre for Excellence at Fortis Hospital, Noida has carved a name for itself in the medical fraternity. The hospital is known for its high standards in excellence and cardiology and cardiac surgery amongst others. A professional and highly experienced team of cardiologists, duly supported by the latest medical technology makes it possible to offer patients the best possible medical attention. The hospital has also emerged as one of the leading referral Centre for renal science across the country. It is equipped with a spacious state-of-the-art dialysis unit that minimises the risk of infection to ensure a safer dialysis process for our patients. Staff Nurse Jyoti (Night Duty Staff) provided exceptionally good nursing services & went beyond the limits to make patient comfortable. House keeping staff Kamlesh, Shakkeela & Sanjay are exceptionally good. Sister Pooja and Akriti were exceptionally caring and supportive. The entire nursing staff is rally good, especially nursing incharge Mr. Omprakash Chaudhary was very nice and supportive.The supporting department like House keeping and F& B was good and apt in their services. Dr. Dushyant is a highly recommendable Doctor Dietician Richa was also very helpful. Impressed with PHCS team for their prompt and friendly service. I really like Mr. Parminder as he did follow up on feedback and took explanations..
Showed their gratitude for every patients and they are generating a positive patient experience and better relations with every clients. Special mention to the ward in charge Mr. Omprakash Chaudhary. Overall a new good experience, we are going happily. I am very pleased with the services provided at Fortis Hospital Noida, especially the nursing staff who provided round the clock care. My heartfelt gratitude to Dr. Monika Wadhawan and her team, Dr. Dhar and Dr. Ramalingam and his pediatrics team. I would definitely recommend the hospital to my family and friends!! I am very much Thankful to Dr. Madhu Srivastava who made our dream of parenthood come true. Dr. Vanika & Dr. Nisha also guided us as and when required. We got exceptionally good Nursing care. Nurses were very attentive and they taught us all the basic skills from feeding to nappy changing. Nurse Subhi took excellent care of baby.She rushed to take care even before we rang the bell. Nurse Silvi & Trisha also helped us a lot. I am glad and I wanted to tell someone about the excellent care I received. Your staff is amazing and they were so attentive to all of my needs. I am extremely impressed with the level of care I received and the kindness and compassion of your staff. I am really happy with the services provided to us by all the nursing staff through out 24 hours service. Even billing was so fast and security guards are really well trained and are really helpful. There are few gems in nursing staff especially Head Nurse Sister Sindhu, Blessi. Sindhu g oes beyond her duty to motivate a patient and help to come out and depression. Other nursing staff are also coordinated. Dr. Ajay Bhalla’s experience was excellent. I am really happy with the services provided to me by all the nursing staff through out. I am thankful to each and everyone who took very good care of me. I will definitely recommend Fortis to others for their treatment. Staff is excellent even though they have a busy schedule they took very good care of me.Sister Julie helped me a lot and special thanks to sister Veena. Overall experience was excellent.Thanks to sister Sindhu she took care of me like a sister. Thanks to all the staff on this floor . We are extremely satisfied with the treatment and care provided to our one and a half year old baby. Its very scary for parents who want to relieve the pain their baby is undergoing. Fortis took it with utmost care. Thanking all the doctors and nurses who work round the clock leaving their families behind for service. Nursing and staff cooperation was excellent and overall facilities are also satisfactory. Particularly nursing support is excellent. Very much satisfied with the staff,facilities and treatment. Food quality was good and dietician took proper care of our taste and likes. Cooperative staff, polite and carrying sympathetic attitude towards the patients. Thanks a lot to everyone for giving me the best care. I have really liked the way sisters take care of patients here. They are concerned and are always there to help. Best people among all the staff members. Thanks a lot to all the sisters who have taken care of me. Best part of my pregnancy is Dr. Monika Wadhawan. She is an excellent doctor. Had a very good time with her in whole term. Every staff is just awesome. Can’t name all of them but specially OT staff, anesthetists were excellent. Nursing care is very good for baby & mom. All pediatricians were good and all of them gave such good advice. I will refer this hospital for every medical condition. A big thanks from my side.I have come here empty hand but going back with my lifetime pleasure. A big thanks from my family. We are really impressed and grateful at the care we received from Fortis Hospital, Noida. When we arrived I was nervous before my sister’s surgery because she was in a critical condition, but thank God everything went perfect and successful. We always had Neelam and Nadeem by our side, they supported us and offered words of coverage and that really made us get at ease. We are very grateful to our consultant whom I cannot praise highly enough, Dr. Vaibhav Mishra he is a superb and also an absolute gentleman. I must also comment and thank Neelam and Nadeem for their professionalism, they are utterly fantastic. I also thank all the hospital staff cared for us. Dear Dr. Neha, Thank your so much … ? You are just awesome !!! Your treatment helped me to become more mobile and pain free.You are doing a great job, and ensuring illness (Pain) of people. Very professional, caring and compassionate..Not only for me, I saw the same compassion from you with other patient also..
All the very best ! I, DIG (Retd) N S Gujral admitted on 24th June evening for Cystoscopy and HOLEP scheduled for 25th June morning. Right from morning bath at 7 am consent from self and my attendant moving out from Room, Post operative care were experienced by me with ‘clockwork precision” Mannerism of other staff like Staff Nurses, Housekeeping, Safai walas, were really very impressive. Though diabetic, yes food was excellent and dietician was ready to make small adjustments with a smile’. Feel happy, I chose forts for my health care needs. In 2016, I was operated here in fortis only for gall bladder removal. And have no hesitation to add that things have proved Fortis ever more patient friendly. We are very happy with the services provided by Fortis staff and it was an excellent experience. Mr Rajiv from House keeping was very helpful and very caring staff. Sister Blessy & Sister Shubanda are very caring, polite and coordinating. They handled patients with so much care and love. Ms. Ajitha Nair (Head Patient Experience) helps a lot in other process as when we are not ready for admission due to non availability of twin sharing the way she convinced us to take admission in a General Ward was commendable. And as promised by her we got a twin sharing after surgery. She helped us for smooth discharge process also. Archana and Priyam are also very cooperative. My First Thanks to Dr. Pinak Sir & Dr. Bedi Sir for always being Supportive. Ms. Ajitha helped me like her own Family Member. ER Nursing Staff-Mr. Shadaab, Mr. Tijo and team + 3rd Floor Nursing Team(Bincy, Rincy, Kamna,Nisha,Chanchal, Sanjana & Rany Di) really took care of my child as night angles. 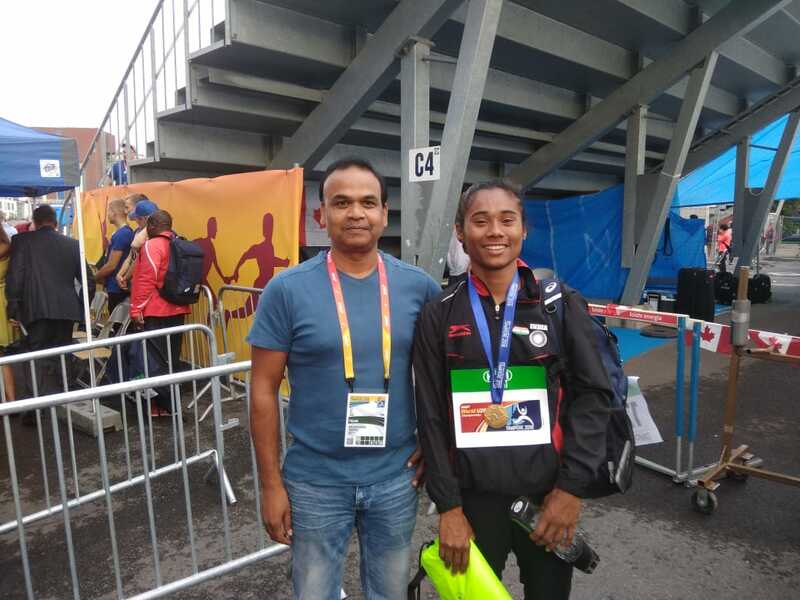 H/K Team-Mr. Pankaj helped out of miles and other team members too very supportive. I’m very happy with Dr. Meenakshi from emergency who was provided me with exceptional care and compassion. Other Doctors should also learn from her how to handle the patients in an emergency situation. All over Nursing experience was also excellent. Thank you Very much and Keep it up! All the doctors from general surgery unit are excellent. Every staff is just awesome. Can’t name all of them but specially Nursing team and doctors were excellent. I will refer this hospital for every medical condition. A big thanks from my side. Overall services and quality of the services were up to the mark. Very much satisfied with the staff and their prompt services. Keep up the good work and I am happy to recommend this hospital to my near and dear ones. Excellent care from everyone, I’m very happy and feeling much better. Nursing Staff Divya, Shubanta, Veena, Sindhu, Sajo. My experience in Fortis is very good. The staff is very caring and supportive (Ms. Namita, Ms. Jyoti, Ms. Amrutha & housekeeping staff). The doctors are really very good and very supportive. Great care after delivery. I have really liked the way sisters take care of everyone especially sister Linta Mathews supported us a lot and took care of the mother and the baby well. Doctor’s visited us and gave us guidance. Thanks to all the doctors. I would like to recommend this hospital to all my near and dear ones. I have experienced immense relief in my chronic pains, which were left undiagnosed by many of previous doctors. I have taken treatment from Dr. Surender, he is a genius person doctor with a kind heart and has got some magic in his hands. For the sake of brevity, I am feeling much better and relaxed and very thankful to doctor for making my right diagnosis. Ms. Preeti Goswami (Head PCS) went out of the way to help us. Sister Marina- Always attended to us with a big smile. Excellent services provided by her. Doctors and Nursing Experience was Awesome! Courtesy and responsiveness of FnB staff and Dieticians services and Food Options was also Excellent. Attendant’s and Discharge experience was also very Good. It was a good experience at Fortis. My dad was a bit nervous before TKR but the complete process was so professional and smooth that he did not even felt half of that. Thanks to the entire team of Fortis, to make my father walk again without pain. Not at all deficiency is there , Room services is also very well. Each and every doctors and sisters have lovely nature. They are very helpful and kind. All doctors are doing good work and behaviour of all the doctors is also very good . They listen to us very patiently and explained each and every thing very politely. All Nursing staff is also very good. I would like to name some ,Brother Rambir Singh,Brother Arjun,Sister Sonia,Sister Pooja,sister Roshni and all nursing team is very good and helpful. The team at Fortis Hospital, Noida recently demonstrated clinical deftness and skill, successfully preventing a crippling injury on a 10-year-old boy from Noida. The emergency team under Dr Dina Shah, Additional Director, Department of Emergency, the team reached the park where Aryan lay on the ground in excruciating pain, bleeding heavily. Dr Vaibhav Mishra, Senior Consultant, Department of Cardio Thoracic & Vascular Surgery performed a major, limb-saving surgery on Aryan Lavania, 10 years, who was seriously injured while playing in his neighbourhood park. It was a normal sunny afternoon when Aryan was cycling in the park near his home when his bag fell on the ground. He tried to pick the bag up while still in a sitting position on the cycle, but lost balance. The handle bar of his bicycle pierced his left upper thigh, impaling the limb. The emergency team from Fortis, Noida rushed to the spot and resected the child with intravenous fluid and pain management. Due to the hot waves the child became dehydrated eventually and was in that excruciating pain too. The Emergency medical team patiently managed and waited till the cycle vendor came to cut off the handle bar from the cycle. Once the cycle was removed, swiftly took Aryan to the hospital with the lodged part of the handle still inside his thigh. Relevant investigations were quickly done. The patient underwent exploration of the wound and left femoral vessels with the removal of the cycle handle at the operation theatre under close supervision. Aryan left the Hospital after two days, happily, with few general advisories given by the treating doctors. Dr Kousar Ali Shah, Zonal Director, Fortis Hospital, Noida said, “The vital focus for our team has always been combining quality expertise with compassionate and swift delivery of patient-centric healthcare services. Even though Aryan was bought in a perilous situation and had lost a lot of blood, our emergency team with active assistance from the cardio-thoracic division carefully planned the surgery meticulously, ensuring that the patient goes back home having recovered successfully”.